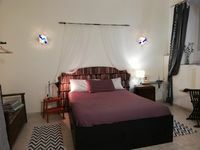 Amalfi Coast - Apt in Minori for 8p with wi-fi at 300m from the beach! Property 55: Amalfi Coast - Apt in Minori for 8p with wi-fi at 300m from the beach! Casa Eletta: A bright and sunny two-story independent house which faces the sun and the sea, with Free WI-FI. Property 57: Casa Eletta: A bright and sunny two-story independent house which faces the sun and the sea, with Free WI-FI. Property 58: Appartamento Re Carlo: A bright apartment located in the historic center of Naples, with Free WI-FI. Casa Lazira: A pleasant and spacious apartment which faces the sun and the sea. Property 64: Casa Lazira: A pleasant and spacious apartment which faces the sun and the sea. Property 67: Nel cuore di Napoli. Property 75: Villa Batticuore: An elegant and welcoming independent house located in the center of Positano, with Free WI-FI. Property 76: With large terrace level in the heart of Vomero. Villa Euforia: A bright and sunny independent house which faces the sun and the sea, with Free WI-FI. Property 79: Villa Euforia: A bright and sunny independent house which faces the sun and the sea, with Free WI-FI. Storic center Napoli "Under the vault"
Property 84: Storic center Napoli "Under the vault"
Villa Lauretta: A characteristic two-story villa set into the cliff, sheer above the sea. Property 88: Villa Lauretta: A characteristic two-story villa set into the cliff, sheer above the sea. Villa Calipso A: A pleasant and spacious apartment that covers the entire ground floor of a villa situated on a promontory facing the sea, with Free WI-FI. Property 93: Villa Calipso A: A pleasant and spacious apartment that covers the entire ground floor of a villa situated on a promontory facing the sea, with Free WI-FI. The apartment is ideally located for exploring the sites in and around Naples. We spent 6 days and walked to Naples historical sites, took the train to Pompeii and Caserta, sampled local markets (there's a gentleman in the market north of Via Foria who cooks chickens on a spit over a wood fire - delicious, inexpensive and easy to pick up and carry back to the apartment), and restaurants. The apartment is comfortable and well equipped with everything needed (it was great to be able to do our laundry before moving on to the next part of our trip). Veronique and her husband were gracious hosts, suggesting the Napulitanata show which we enjoyed very much. Veronique provides a booklet giving helpful orientation hints for Naples and its sites. Great communication. Very clean and comfortable apartment. Loved the decor and bright colours. Highly recommend.